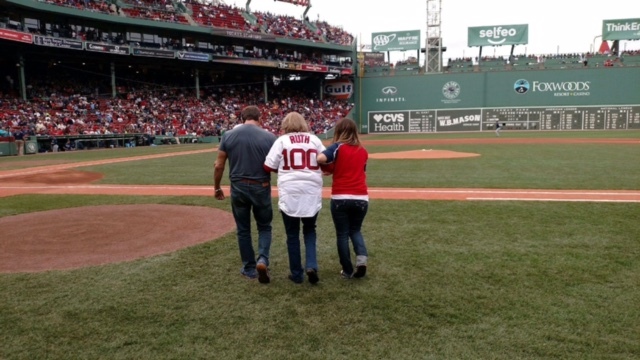 Home → Babe Ruth → Babe Ruth’s Daughter Turning 100! 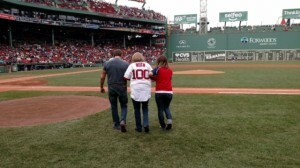 Tom Stevens and Mandy Stevens Dandro escorting Julia Ruth Stevens to the field for her first pitch. And the celebration isn’t over! 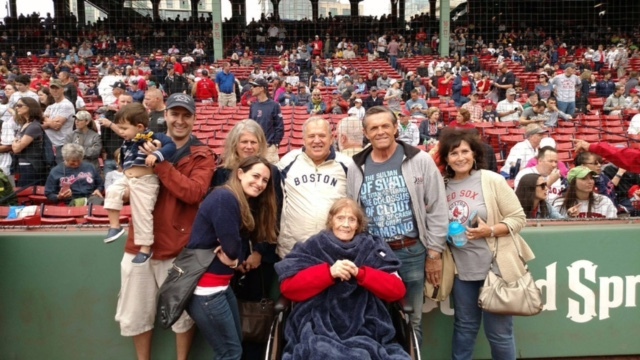 This coming weekend, a number of Babe Ruth-related super fans and experts are coming together in Julia’s hometown in New Hampshire to participate in her 100th birthday party. We’ll be sure to post pics of her big day.